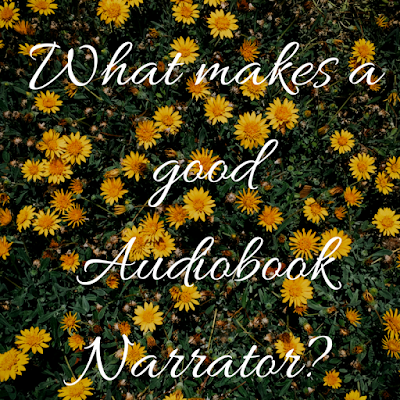 West Metro Mommy Reads: What Makes a Good Audiobook Narrator? I've been thinking, and talking, about audiobooks lately. If you've spent any time reading my blog, you know that I usually have an audiobook going along with my other reads. It used to be that one book would last me at least a month, but I've gotten into the groove with my audio reading and I'm finishing three or four in the same period of time at this point. Over the course of all this, I've developed some strong preferences in the audio realm. My preferred genre is the celebrity (usually humorous) memoir, read by the author. I very rarely listen to novels I haven't previously read, but I find audiobooks to be an excellent way to re-read something. And I've learned that, when listening to a book, the narrator is just as important as the author. As far as I can tell, there are 3 types of narrators and I don't think we can say one is type is better than another. I've listened to all 3 types and I've had hits and misses in all of them. However, I've learned to consider the type of narrator, along with the type of book, plays a part in how successful a listen it will be for me. Generally, I've found that I don't enjoy audiobooks narrated by the authors unless those authors are performers in their own right. I've tried listening to a number of non-fiction books read by the authors and it is nails on the chalkboard. While these are mostly people that I've never heard of, sometimes it happens with someone whose fame transcends their writing, yet that doesn't mean that they can narrate well. I consider Stephen King's On Writing to be one of the best titles about the trade and I thought I'd give it a listen as a refresher. I think I made it an hour before I had to return it to Audible. Stephen King has a way with words...on the page. Those same words don't flow in quite the same way when they come out of his mouth. There are times when even someone known for performing doesn't make it in the narrator world. I'm sure this is an unpopular opinion, but I wish anyone other than Mindy Kaling had read her first book. I have never not laughed so much in a humorous memoir as that one, and most of that was due to the delivery, not the text. Kaling, however, can also be a cautionary tale for what I would consider the second category of narrators: actors. As I've said, this can work in the memoir world, but I've also had great success with well-known actors reading books they did not write. My favorite children's audio experience was Neil Patrick Harris reading the Henry Huggins books (which is ironic, because I actually didn't care for his narration of his own memoir. Of course, I didn't care much for the memoir itself). There is also that whole class of British Thespians who could read a calculus book and I'd be all over it. But, it doesn't always work. I'm currently listening to an audio book narrated by 2 actors I like (you'll have to come back for my update post to see what and who I'm talking about). I went into this feeling fairly confident that one of the narrators would be a good fit while the other, well, I was rolling the dice. As it turns out, the second author--the one I was worried about--is simply breathaking as a narrator to the point that I'd put him in my top 3 (maybe top 2) of audio narrators . However, the actor I felt would be a good fit is...not. And she isn't a good fit on many levels, leaving me a bit confused as to why her performance is so unsuccessful for me. Honestly, I find actors as narrators to be more of a crap shoot than I would have expected. While talent on the stage or screen may be a good indicator of audio success, it isn't a guarantee. That is something I remind myself every time I pick up a book with a famous name narrating it. Finally, we come to those narrators who make their living doing this crazy stuff. I won't say that I've never gone wrong here, but when a professional voice actor's narration doesn't work for me, it is more of a personal preference issue than an ability issue. For example, I tried to listen to The Martian (which I had previously read) and the narrator, R.C. Bray, just didn't fit the voice I had previously internalized when I had read it earlier. Recently, I listened to Jennifer Weiner's In Her Shoes, which has long been a favorite of mine. Yet, the narrator, Barbara McCulloh, just didn't work for me. It wasn't that her narration was lacking in anyway--I would probably love her narration of another book--but she just didn't fit with this one. The strongest voice performers can be chameleons. I was once listening to two audiobooks--one for myself (Bad Feminist by Roxane Gay) and one with my kids (The True Meaning of Smekday by Adam Rex). It wasn't until I had finished one and had almost finished the other that I realized that they had the same narrator, Bahni Turpin. Once I find a professional voice actor who I enjoy, I find myself checking out what other books they've done. I recently finished listening to Johanna Parker read Goodnight Nobody, another Jennifer Weiner novel that I was lukewarm to when I read it over a decade ago. However, Parker's narration brought the story to life in a way I could not have imagined. Before I even finished this book, I was already looking up Parker's other works (and there are many) and adding a few to my wishlist. 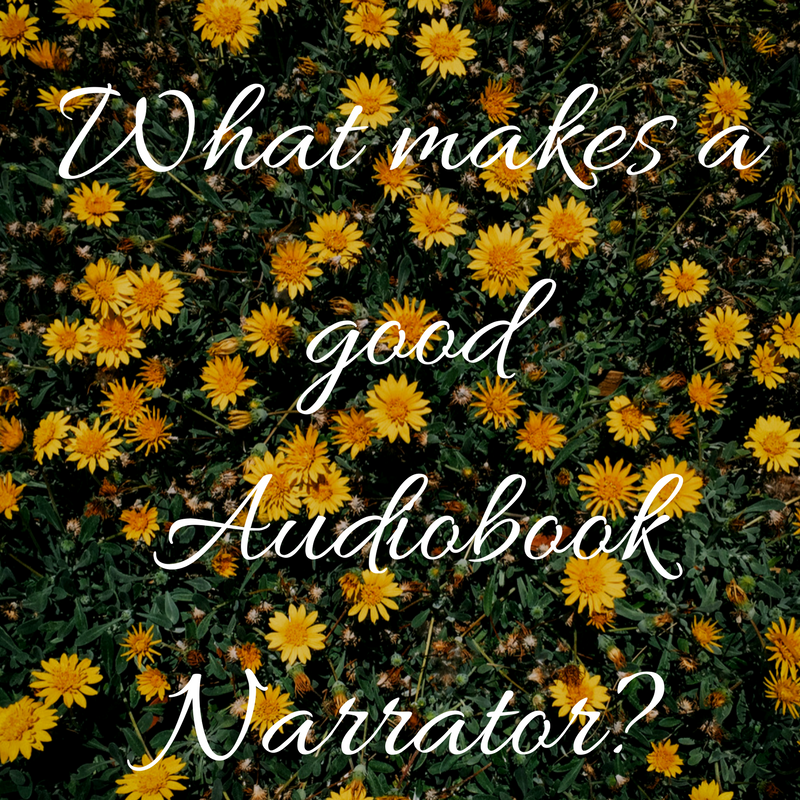 So, to answer my original question, there isn't one hard and fast thing that determines a good audiobook narrator. Instead, it is a combination of talent, fit, preference, and dumb luck. But, if you find yourself listening to the perfect narrator reading the perfect book, you are in for a treat. Do you have any favorite narrators? Or do you have any audiobook horror stories? If so, please let me know in the comments!